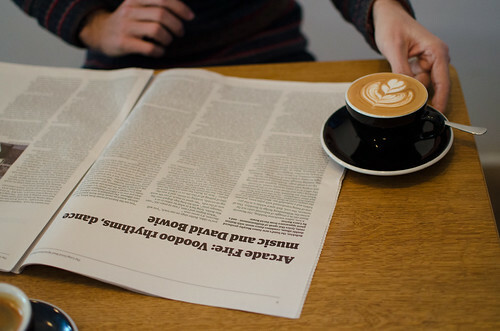 We're very excited to be launching a brand new newspaper today: The Long Good Read, in partnership with the Guardian, exclusively for #guardiancoffee in Shoreditch, London. 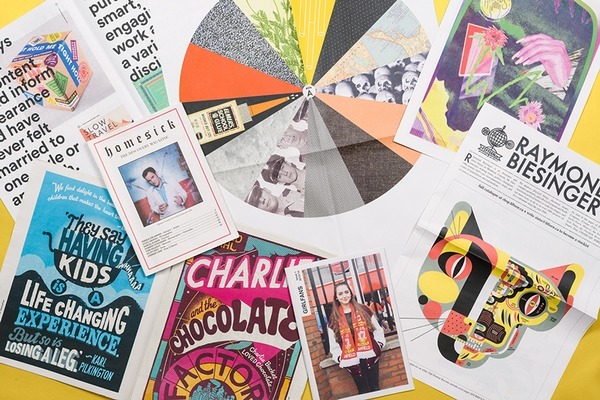 The Long Good Read is an experimental, algorithmic newspaper, filled with a selection of the Guardian's long form articles, interviews and more, all beautifully designed using Newspaper Club's ARTHR tool for easy reading over a coffee. 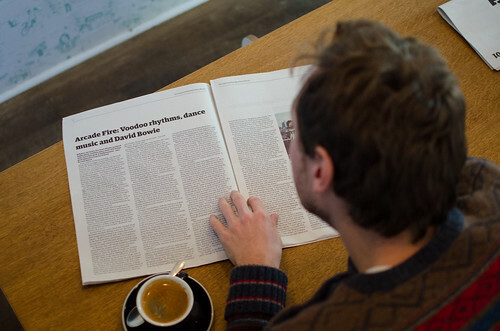 The first issue is available for free today, only at #guardiancoffee. Each week the Guardian produces thousands of articles, of all shapes and sizes. Unfortunately, the pace of change means some of the best in-depth pieces can be lost amongst the daily news. A couple of years ago, Dan Catt developed a separate website called the Long Good Read, which used the Guardian's API and website analytics to pick out a pair of long form, meaty articles per day which were getting good readership, comments or traction online. These were great to read on the LGR site, through the e-reader edition, or via an RSS feed, but sometimes you want to step away from a screen, and enjoy the writing without distractions. 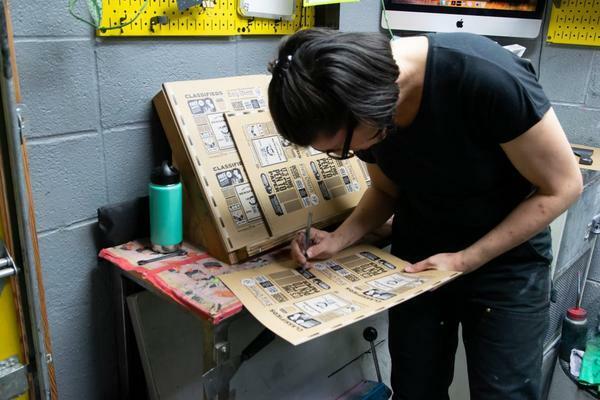 We began to talk about a print edition, powered by Newspaper Club's tools and infrastructure, and even made a prototype or two. But when #guardiancoffee opened up, it seemed like a perfect opportunity to launch it properly. Because of the short print run, for just a single cafe, the economics meant producing the newspaper needed to be quick and easy: one person, one hour, was the goal. We customised our free newspaper layout tool, ARTHR, to support the Guardian typography and design elements, making it feel part of the Guardian's brand, while still distinct. To gather the content, Dan and the team at the Guardian produced a small tool to quickly select content from their API, which was then flowed into ARTHR's semi-automated layout using the 'import from webpage' feature. After a quick thumbs up from everyone, it was despatched off to one of Newspaper Club's presses on Friday, to be printed, packed and delivered for Monday morning. This is an experiment for the Guardian and Newspaper Club, and we're keen to hear what you think about it. There's more issues to come, and plenty more ideas to try out. 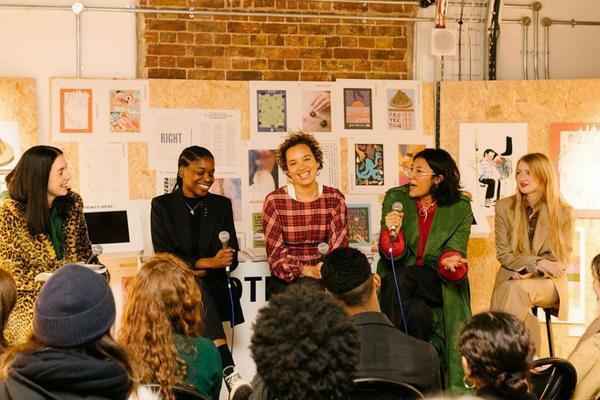 Early next year, Newspaper Club will be launching more tools for publishers to turn their digital content into print-on-demand newsprint. If you're interested in talking to Newspaper Club about something similar for your publication, or you're a member of the press who wants to find out more about the Long Good Read, please email newspaperclub@newspaperclub.com. 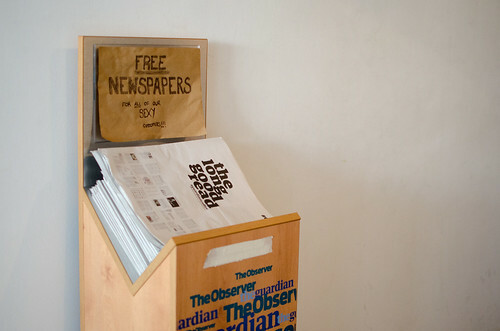 More photos of the paper in the wild are available in this Flickr set. 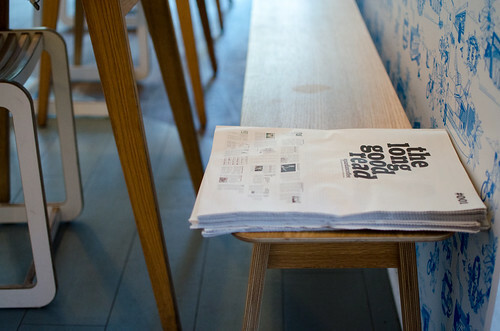 Pop on over to #guardiancoffee in Shoreditch to pick yours up today.